The 25-year-old midfielder has so far failed to find the net since a big-money move from MLS side Atlanta United in January. 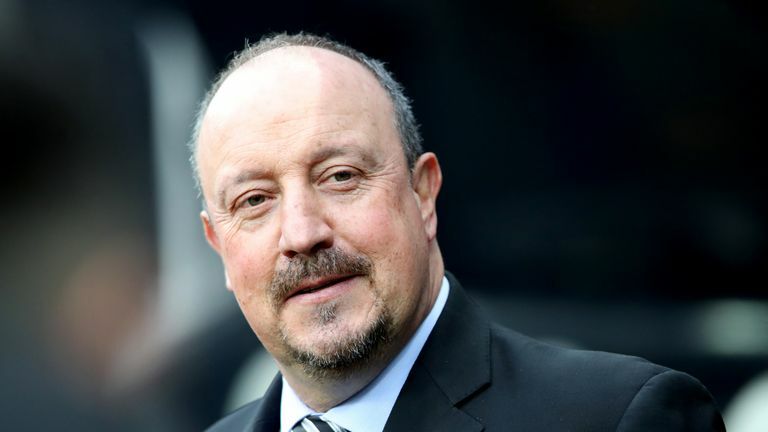 However, Benitez is impressed with how the Paraguay international has performed and believes his pace and attacking instinct is just as key for the Magpies. "He is doing OK. I do not see any anxiety just because he is not scoring. He is fine," Benitez said. "You talk about (Salomon) Rondon, (Ayoze) Perez and Almiron and they play well together. "Maybe he (Almiron) has more pace going forward causing more problems for defenders, and that is beneficial for Rondon and Ayoze." Newcastle travel to face Arsenal on Monday, live on Sky Sports, with skipper Jamaal Lascelles expected to have recovered from the knee problem which kept him out of the 2-2 draw at Bournemouth last time out. However, Fabian Schar is suspended and Sean Longstaff is injured (knee) for the Emirates clash.